American merchant ships in the Mediterranean Sea are attacked and plundered by Barbary pirates, their crews enslaved and ransomed by Tripoli's vicious ruler, Yusuf. But President Thomas Jefferson has a new navy, which he deploys with orders to confront and crush Tripoli. Disaster strikes, however, when Yusuf improbably captures the mighty 36-gun frigate Philadelphia and her 300-man crew. Running out of options, Jefferson dispatches secret agent William Eaton and Marine Lieutenant Presley O'Bannon on a daring overland mission to topple Yusuf from power and rescue the American hostages. 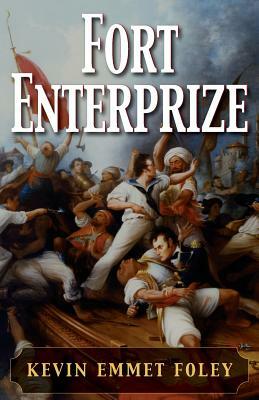 Will Eaton's audacious "enterprise" succeed--or will Yusuf humiliate America again?